On a cold day, is there anything better than putting on your favorite sweater or blanket, fresh out of the dryer and still warm? Unfortunately, mice enjoy the warmth of your clothes dryer just as much as you do. For rodents looking for a warm place to wait out the cold, a dryer vent is one of the easiest ways to get inside your comfy, cozy home. Mice and other pests use household dryer vents to get inside your home. Any home with a laundry dryer inside has a vent on the outside to let the heat escape. If the vent outside is uncovered or damaged, household pests like mice can easily get inside. Once they enter through the vent, they will chew through the flexible tubing that connects to the actual dryer, giving them free access to the rest of your house. Strange noises such as squeaking, scratching, scurrying or thumping sounds. Finding small black pellets, similar to rice in size and shape – these are rodent droppings. Broken or damaged vent covers on the exterior of your home or building. Why you should get rid of a little mouse? If mice, or any other animal takes up residence in your laundry dryer vent, you’ll be facing a long laundry list of problems. The phrase ‘quiet as a mouse’ is a lie, and when the sounds of noisy rodents are amplified by the thin metal and hollow sound effects of a dryer vent, you’ll know why. The dryer’s efficiency will suffer if the vent is obstructed by a mouse nest or any rodent related debris; the risk of fire increases when there are blockages as well. Not to mention the diseases rodents can transmit, the terrible smell that will result if a rodent dies in a hard to reach area, and the overall “ick” factor. Getting rid of mice is critical for your own health and safety. 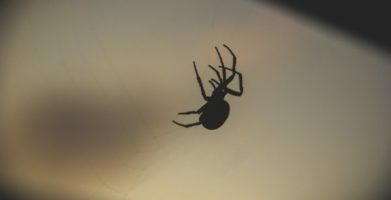 Preventing pest problems from happening again is important to protect your appliances and save you from expensive repair bills and replacement costs. The best way to get rid of mice and make sure they never come back is to use a rodent repellent that has been proven effective like Stay Away® Mice. Unlike lethal traps or poisons, this scent based repellent is a pet friendly mouse control method that poses no risks to children or other animals. 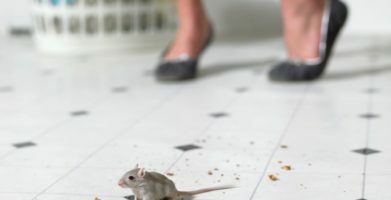 Mice follow their noses to find food and to detect danger — the fresh scent of essential oils in Stay Away overwhelms the highly sensitive scent receptors of rodents, causing them to flee the area. While traps and poisons are designed to attract mice before killing them, Stay Away repels rodents from the moment you unwrap the pouch. Place the pouches wherever you suspect a problem or have seen signs of rodent activity. Leave the pouches in place for a few days to allow the mice to escape, then inspect your dryer vent and surrounding area to seal up any entry points so pests can’t get inside again. 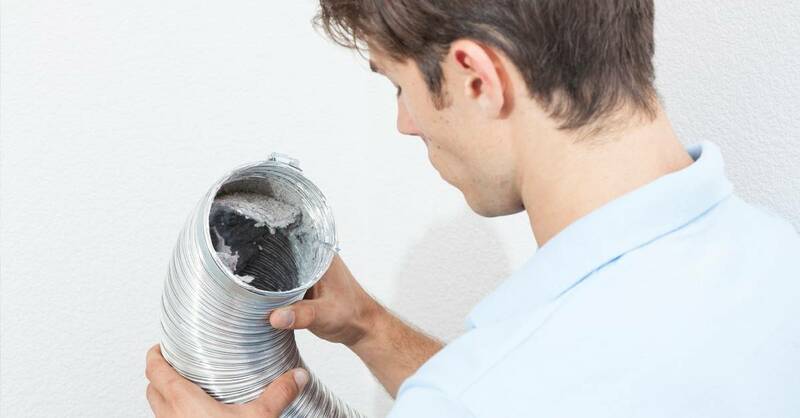 Make sure vent flaps are intact and working properly; cover the exterior opening with wire mesh and caulk around the vent where it enters your home. A little effort goes a long way and can ensure that your home remains mouse free. Mice and other pests use household dryer vents to get inside your home. Finding small black pellets, similar to rice in size and shape - these are rodent droppings. Why you should get rid of a little mouse? If mice, or any other animal takes up residence in your laundry dryer vent, you’ll be facing a long laundry list of problems. The phrase ‘quiet as a mouse’ is a lie, and when the sounds of noisy rodents are amplified by the thin metal and hollow sound effects of a dryer vent, you’ll know why. The dryer's efficiency will suffer if the vent is obstructed by a mouse nest or any rodent related debris; the risk of fire increases when there are blockages as well. Not to mention the diseases rodents can transmit, the terrible smell that will result if a rodent dies in a hard to reach area, and the overall "ick" factor. The best way to get rid of mice and make sure they never come back is to use a rodent repellent that has been proven effective like Stay Away® Mice. Unlike lethal traps or poisons, this scent based repellent is a pet friendly mouse control method that poses no risks to children or other animals. 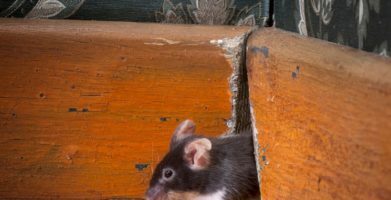 Mice follow their noses to find food and to detect danger -- the fresh scent of essential oils in Stay Away overwhelms the highly sensitive scent receptors of rodents, causing them to flee the area. While traps and poisons are designed to attract mice before killing them, Stay Away repels rodents from the moment you unwrap the pouch. string(37) "How to Get Rid Of Mice in Dryer Vents"